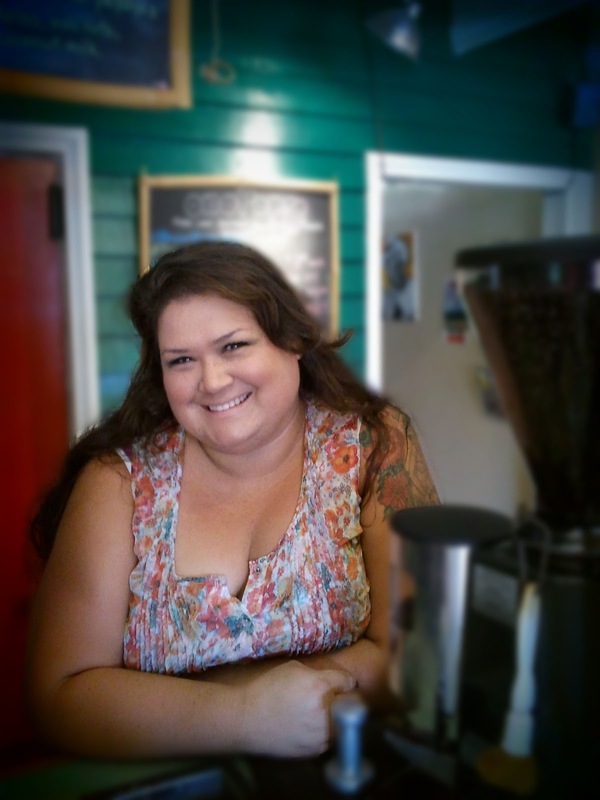 Tracy Petrucci: Should Tourist Centric Businesses Bother With Customer Service? Should Tourist Centric Businesses Bother With Customer Service? Well, I know you know the answer to this... the answer is yes! I just returned home from a week in Kauai, visiting friends and family. There is good coffee on the island of Kauai, and there are good coffee houses. But are all the coffee houses created equal? Definitely not. 1. Repeat Vacationers- It's the behavioral norm for some people to return to what they know. I have friends who travel to the same place every year for their vacation, stay in the same inn, and eat at their same favorite restaurants. Why rule out these people as ever coming back to your business by leaving a bad impression? 2. Rural Location: Just because your business is where there isn't a lot of competition, you may think people will come back because they have to. Wrong! They probably will try it, but if they aren't impressed they don't have to come back. And it's true in times of desperation you will probably see their face again, but why not make even more sales by making the decision easy on them? 3. Locals Spend Money Too: Yes you are making a lot of money on passers by. But think of the sales you could be pulling in if you had the locals on your side too. Not only would they recommend your business to visitors, but they would be more likely to come in on a regular basis if they knew you would treat them right or even had a locals rewards program. 4. Online Reviews: Every day, more people are starting to tap into review sites when they are upset. Think of all the future potential customers you are turning off who do research online before they decide where to go. If you've been doing a good job, you'll have good reviews and make your business the clear choice for travelers. 5. Travel Guides: Writers highlight your business in a travel guide if they like you. This can be said for online tourist guides and books alike. The two coffee houses I visited gave me two very different experiences. Coffee house A made a decent drink, but the employees were pretty complacent and the atmosphere over all was not pleasant. Even though we were in the middle of nowhere, I thought to myself, "Hm I'll just buy some coffee beans and make it at home next time." Later in the week when I needed a pick me up, I actually opted for the grocery store instead of the cafe. Had I enjoyed the experience the first time around, I'd surely have decided to go back for more instead. When I was in Kapa'a for the rest of the trip, I went to a coffee house called Java Kai (coffee house B) What a world of difference! Carmen was so creative, and made me an amazing ginger mocha by actually taking the time to juice a fresh piece of ginger before adding it to my drink. She made it up on the spot, and I appreciated her creativity a lot because I don't like syrups or other artificial flavorings. I went back several times during the rest of my stay, and always had a nice time. 1. Customer Service- above all else, provide great customer service and drop the attitude. Building quality relationships can sometimes even trump an inferior product. 2. Use The Web- Coffee house A has no Facebook page, no website, and some pretty consistent negative reviews online. Coffee house B is creating connections on their Facebook page, created a website, and has about six times the good reviews online in comparison. Hook up a local rewards program with Instagram or Facebook check ins, or even the old fashion "stamp" card. Advertise what you're up to on Facebook with a new menu item or drink special to lure in your local customers. 3. Implement Marketing- Other than some of the social media methods mentioned above, take some time to think about search engine optimization, local partnerships and collaborations, and other basic marketing you can do to ensure you're growing and thriving as a tourist driven business. My first tip? Collect email addresses and make sure you have a spot where they can enter where they are from. This way you can divide your lists into two categories "local and tourist" and do the appropriate promotions and messages to each group. For example, you don't need to send email marketing messages to visitors who have left, about the musician for the weekend, or a special event in town. This will lead to more opt outs and spam reports because it's not relevant to them. However, a quarterly newsletter with highlights, news, and other interesting facts about your area will keep you top of mind with past customers in case they come back to town. You may think you're in the clear just because you have built in business with your location, but that's not good enough. You can always improve and see greater results where you might not realize, and you should strive to be the best at what you do for the people who pay you their hard earned money. Happy Travels! Mega Deal or Mega False Advertising?